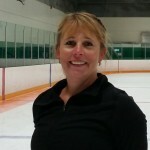 Jackie has been with the Delta Skating Club since 2002 as a Board Member, Program Assistant & Adult Skater. Coach Synchronized Skating since 2010. Competed in Synchronized Skating for over 12 years. Jackie continues to skate for fun and competes in Freeskate, Artistic and Dance at Adult ISU competitions. Accepting new students in the Star Skate Program – semi-privates or private lessons.